Is It a Good Time To Buy a New Home in Boise? The rants went on and on. You can click on this and read the article and the string of replies yourself if you want to. Many of the commenters made more sense than the Realtor® article. Being not so young myself, and being involved with scores of people doing short sales, and others struggling just making ends meet because of their home ownership, I have always been very careful advising that this is a great time to buy a home. It may be a great time, for some people. For people who are going to live in the home for at least five years, who have some money down, or the ability to do VA or FHA financing and have a emergency fund at the very least for savings, it may be a great time. Home prices are still way down in Boise from the peak of the market. There are a lot of benefits of home ownership. But it isn’t for everyone. However, if it is for you, we can offer you something unique in the real estate business. We can help you by giving you the answers to questions, tools to search, data to compare to see if you are getting the right price on a home, and help you have a smooth transaction. We can give you sound advice and patience. We can be ready to show you homes when you get alerted to ones that are perfect matches to what your criteria are. 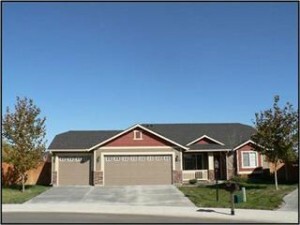 So if it IS a good time for you to buy a home in Boise, talk to us. We would love to help.